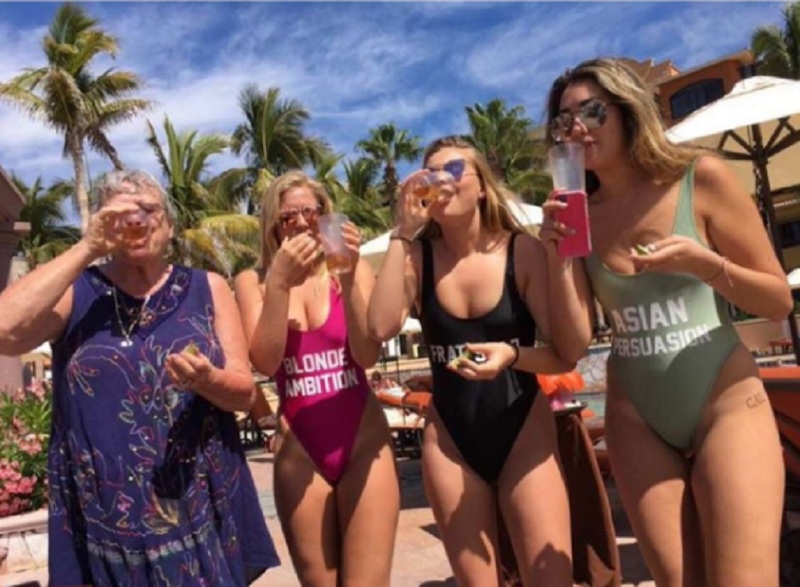 We have a serious bone to pick with our grandparents: Out of all the wonderful ways in which they’ve blessed us, we can’t recall a time in which they were considerate enough to encourage our wild ways, like this badass grandma who joined a group of spring breakers in Mexico and gave us all sorts of aging goals. This granny didn’t perform chaperone duties or bake cookies, either. She hit the beach to show the youngsters how to have a good time, and presumably because someone figured this trip was the perfect non-boring gift for a cool grandma. Maybe partying like a rock star and flexing on Instagram with the girls was Grandma’s idea. Maybe it was theirs. Either way, this May-December squad had what looks like the most lit spring break ever, and it’s all because they were smart enough to listen to a wise woman who’d been there and done that so much that she never actually stopped. According to Elite Daily, this rock star of a grandmother is Doreen Grett, who decided to kick back and chill with her grandchildren in Cabo San Lucas. Her granddaughter Payton posted a photo Doreen getting her party on with other beachgoers. "My grandma is in Mexico taking shots with random girls on the beach and posting pics of it with captions like they're bff's..," Payton wrote on Twitter. LOL. Werk it, grandma. We don’t have an issue here because age ain’t nothing but a number. However, our only question is why didn’t anyone invite fellow badass grandma Baddie Winkle?